​The Town Square Farmer's Market is located on 3rd and Demers in the historic downtown area of Grand Forks North Dakota. 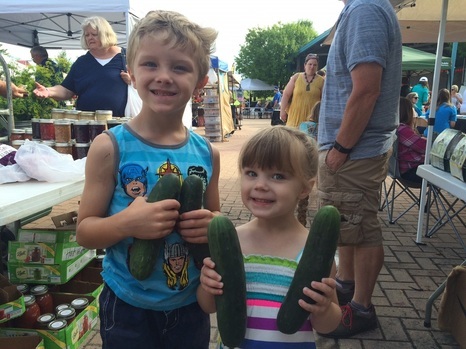 Throughout the market season you can meet up with friends and family, enjoying the summer and the downtown area while you support our local farmers, enjoy local musicians, encourage our local crafters, and learn more about our areas local nonprofits. As a market we have significant goals to address issues of local food policies, access to local foods and overall wellness. ​Please contact us if you'd like to volunteer or sponsor a market. The Town Square Farmer's Market has partnered with Stable Days Youth Ranch, UND's Public Health Department, and GF County's NDSU Extension and the new Forks Mobile Farmer’s Market to bring you the ​Forks Well Fed program. Connecting you to the local farmers who feed you and addressing issues of access to healthy foods for everyone in our community. Can't wait to see you again Summer 2019!! ​AND...Support our areas growers and producers! 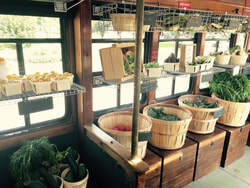 ​Markets will feature fresh produce from Allards and Rogneruds! grass fed hamburger from Szymanski Farms and so much more! The Forks Mobile Farmer's Market sources from our local producers, growers, bakers, beekeepers and others, providing real food with local roots. Our Local Food Access Coordinator and market employees are trained to assist you in making healthy choices and support you through education, relationship and conversation. The TSFM is funded in part by a generous grant from the Greater Grand Forks Convention and Visitors Bureau! Radi's Custom Woodworks has graciously sponsored the graphic design of our advertising! Thank you True North Equipment for sponsoring the Farmer's Market!! Thank you Steffes for sponsoring the Farmer's Market! !